Click here to view last year cover featuring Norman Reedus, here to view 2013 cover featuring Jim Sturgess, here to view 2012 cover featuring Josh Hutcherson, here for 2011 cover with Shiloh Fernadez, and here for 2010 cover with James McAvoy. Yu Tsai snapped the cover. UPDATED JULY 27th 2012: Added three new campaign images via TFS. Karmen Pedaru, Ymre Stiekema, Janis Ancens, Maud Welzen and Ben Hill were photographed by Craig McDean for the stylish Fall Winter 2012 campaign images from Belstaff, their first campaign. Actor Ewan McGregor is also featured for the campaign. 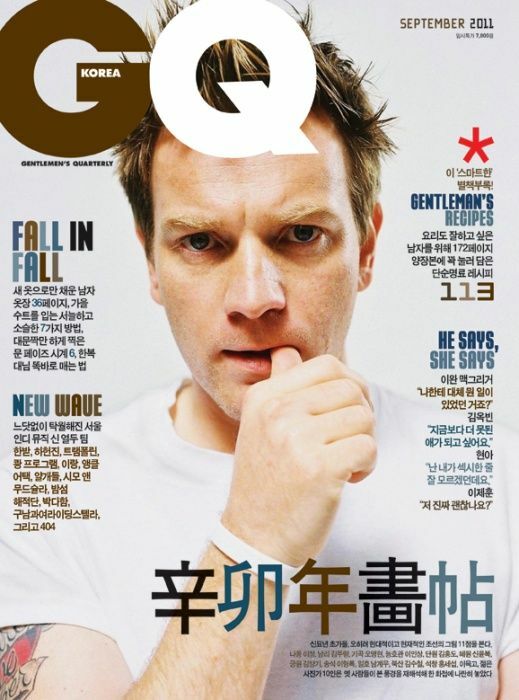 40 year old Scottish actor Ewan McGregor was photographed by Alexi Lubomirski and featured for the Spring Summer 2012 campaign images of South Korean department store, Shinsegae with the styling works by Sean Spellman. 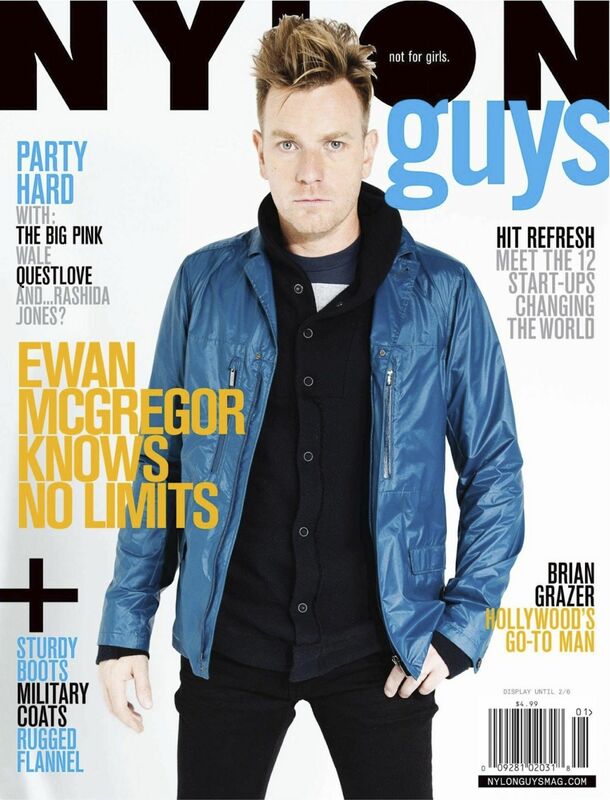 40 year old Scottish actor Ewan McGregor sporting brunette quiff on the January 2012 cover of Nylon Guys US photographed by Marvin Scott Jarrett and styled by Brady Cunningham. Click here to view last year cover featuring Michael Pitt and here for 2010 cover featuring Jared Leto.